Von Rosenberg should lead the West Virginia rotation in 2011. 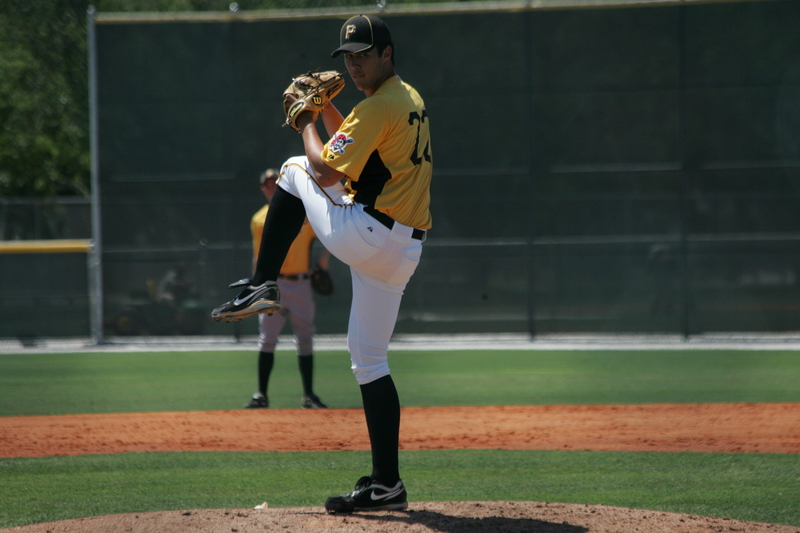 The Pirates went over slot on a lot of prep pitchers in the 2009 draft class, landing five talented pitchers in Zack Von Rosenberg, Colton Cain, Zack Dodson, Trent Stevenson, and Brooks Pounders. Last year, Von Rosenberg, Cain, and Dodson all got plenty of time in the State College rotation, and that should carry over to the 2010 season, with all three being locks for the West Virginia rotation. Brooks Pounders and Trent Stevenson are both candidates to be starters in the long term, although there might not be enough room for them in the rotation at the start of the season. They could both be used as piggyback candidates, or as long relievers. It’s important to point out that while Von Rosenberg, Dodson, and Cain all got plenty of starts last season, Stevenson and Pounders weren’t far behind in innings pitched, ending up with about 15-20 fewer innings. If they aren’t in the rotation, they’ll still get plenty of innings. Jameson Taillon and Stetson Allie are both projected to reach the West Virginia level this season, although both will start the year in extended Spring Training. That’s mostly to keep their innings down, and ensure that they run out of innings at the end of the year, rather than in July, with a month remaining in the season. It’s also to prevent them from pitching in the colder months of the year. Taillon will probably be the first to join the team, and could make that jump in May. Allie could be a little further behind, due to some command issues, but is almost certain to end up at the level by the end of the year. The Pirates have taken guys out of the college and JuCo ranks in the last few drafts, and in the process have made some surprising decisions as far as playing time goes. The prospect with the most upside out of this group is Jeffrey Inman, who missed the entire 2010 season, but is looking to bounce back this year. Inman was a potential first round pick heading in to the 2009 season, but injuries have derailed his career, to the point where he’s no longer a lock for a rotation spot in low-A this year. I still think he’s a favorite, although he could be part of a piggyback situation to keep his innings down. Tyler Waldron, Zac Fuesser, and Brandon Cumpton all profile as relief pitchers in the long term, but the Pirates prefer to maximize the innings of their best arms, rather than moving them to the bullpen in the lower levels. Waldron received the most innings out of anyone in the State College rotation in 2010, and could be a favorite for the fifth starter role. Cumpton and Fuesser could be piggyback candidates, perhaps working with Waldron and Inman. Vincent Payne and Kevin Decker are two sleeper picks from the 2010 draft. Payne was a 12th round pick out of the JuCo ranks, and had impressive numbers in the GCL, with a 2.43 ERA in 37 innings, with a 21:9 K/BB ratio. It’s possible that he could stay in extended Spring Training, then move up to State College as a starter, which is the same path the Pirates took with Fuesser in 2010, who was selected out of the JuCo ranks in 2009. Kevin Decker was drafted as a college senior in 2010, taken in the 39th round. He was given a lot of innings in State College, pitching 57.2 innings, which was the third most on the team. During that time he put up a 3.75 ERA, along with a 30:13 K/BB ratio. He made 15 appearances, with four starts. Odds are that he would pitch out of the bullpen in West Virginia, and that his numbers can be chalked up to being a college senior pitching in short season ball. Still, he’s a sleeper candidate for innings out of the rotation, especially later in the year if a few guys move up. 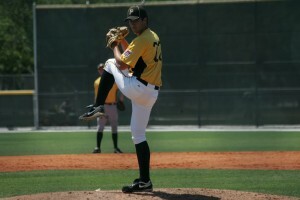 Could pitch in A+ in 2011: Zack Von Rosenberg, Colton Cain, Jeffrey Inman. I could also see Waldron and Cumpton moving up if the Pirates decide to move them to the bullpen at some point this year. Next article1893 Pirates: Best Offense Ever? I think Waldron and Cumpton may both skip Low A, as per vague hints from Kyle Stark in his Bucs Dugout interview. I like Taillon starting in EST and coming up in May when it warms up. That will leave 22 starts at 5 IP/start for 110 innings.